Top Rated Writing Tutors in San Diego, CA! 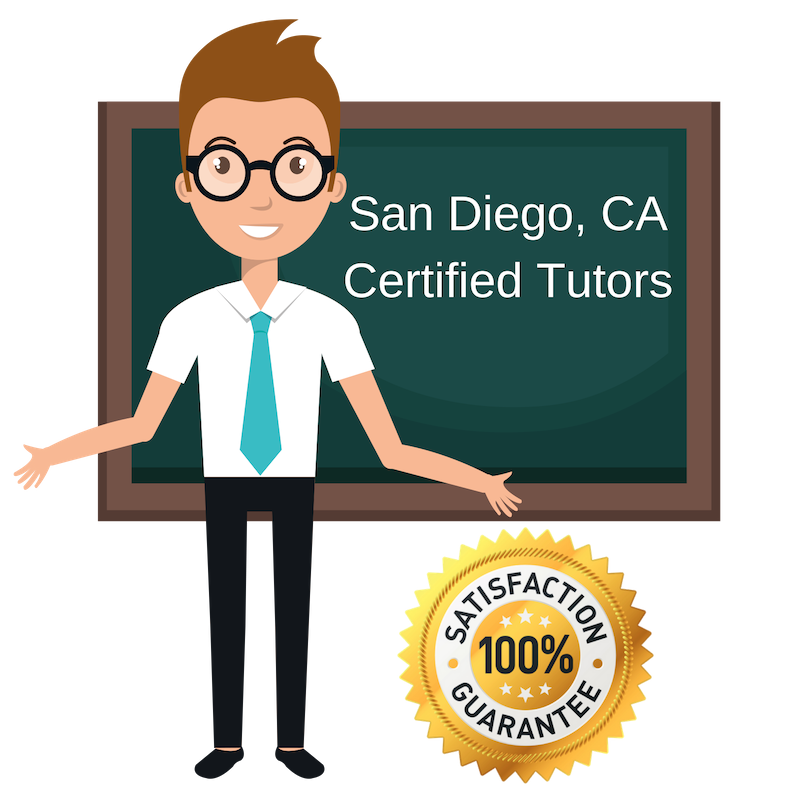 All San Diego writing tutors have been background checked, been interviewed, had mock writing tutoring sessions, and been trained by professionals. We guarantee you will love your local San Diego writing tutor or your money back! Get information regarding a top-rated writing tutor today! Having a foundation in writing is important in succeeding not only academia, but in the workplace and personal projects. Students in the San Diego, CA will learn how to write at their academic level (high school, college, graduate) and understand writing concepts such as subject verb agreement, grammar, word usage, formatting, editing, researching information, and organizing ideas. It is my hope that tutoring students in writing will make them better at writing essays, poems, fiction and non-fiction stories, or a blog/website. I graduated from the University of Pennsylvania with a Bachelor’s in English. I have also worked with students who have English as a second language (ESL). Writing can open the door to a world of opportunity and it is necessary for everyday life. As a Marine Biologist (or Aquaist), I am required to write for academic and professional journals. Students are required to write papers for class at just about every grade level. Learning how to write can also inspire people to venture into starting a blog, writing a fiction or non-fiction, and so much more. I will help students in the San Diego area gain a foundational understanding in writing that will allow them to succeed in academia, work, or personal tasks like a blog or novel. I love to write and dedicate a portion of my time improving my writing skills. I also teach my students how to write and develop their own writing style. San Diego students, both native and non-native English speakers, are encouraged to learn how to properly write content that anyone can read and understand. I will work with students to develop an understanding for the basic writing foundations and then move to developing their style of writing. Looking forward to working with you. As a writing tutor in San Diego, I understand that students have different writing and learning styles. I help them improve their writing by focusing on gathering ideas and information, learning how to spell, learning how to use writing resources to point them into the right direction, and to know basic grammar. Students must learn how to write well in order to succeed in academia and their occupation. It is my hope that these lessons will follow the student in whatever venture they pursue after graduating. I also tutor non-native English speaking students in writing English. Writing is used in everyday life, from typing an essay to texting a friend. Students in the San Diego area will learn the foundation of writing that will help improve their critical thinking, thought process, creativity, grammar, and punctuation. I will share advanced writing lessons that will help expand their skills in writing.